Using a camera-mounted drone, sports photographer Bo Bridges had set out to film a few of his friends enjoying a carefree day of paddleboarding of the coast of Australia -- but what he caught instead was an incredibly close-encounter with one of the ocean's most feared inhabitants. 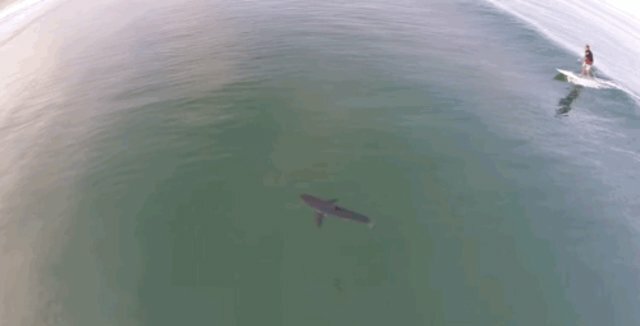 Although the sight of a shark is sure to have most ocean-goers scrambling to the shore, more often than not they go unnoticed, passing through without incident. Shark attack fatalities are so rare in fact, that common things like, say, chairs, are much more likely to post a deadly danger. Here are 8 more things way more likely to kill you than a shark.